A NB home equity loan is pretty much what it sounds like, a loan based off of the equity in your home. So what is home equity? Home equity is your share of the value of your home. It is what you truly own. Not many people can buy their home out right, so if you buy a $200,000 home and you have paid off $40,000 of that, the equity or, what is truly yours is $40,000. Getting back to NB home equity loans, you have two types of home equity loans. You have a fixed rate and a line of credit. A NB home equity loan (fixed rate) gives you a lump sum, that is then paid back in monthly payments with a fixed interest rate in a specific time span. The line of credit however, gives you access to those funds for whenever you may need it. It has an adjustable rate depending on what the rate is at the time. 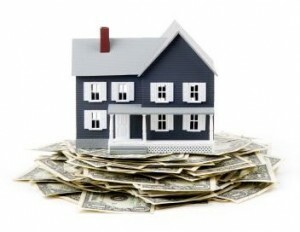 Some pros to the NB home equity loan is obviously that you can get money when you need it. Whether it be a lump sum or a line of credit. Cons to this loan is the loan depends on the market value so if the market suddenly goes down, the value in your home decreases as well. Which means you could end up owing on your home equity loan even after you sell your home. If you can’t make the required payments on your loan, you could risk foreclosure. Canadians with a mortgage have a lot more equity in their homes, averaging about 66% of their homes values, according to the Canadian Bankers Association. If you want more information on a home equity loan please feel free to contact Team Jardine our team of mortgage brokers will work with you to find an option to fit your needs.